The York OC spent Halloween building community in West York at the Hallo-WE Together Festival. 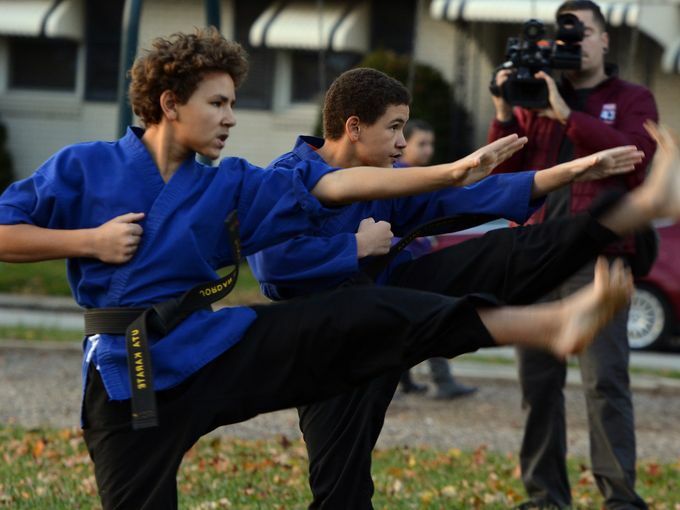 York PPF members stepped up to organize the festival after its usual sponsor backed out. 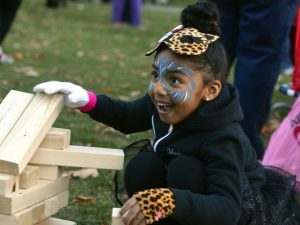 They gathered donations and volunteers from throughout the community to create a safe and fun space for area children, including a “trunk-or-treat,” face painting, and performances from local artists. Approximately 400 people attended! In October, members of the York OC organized to reject racism and unseat the mayor of West York. The Hallow-WE Together festival was a chance to unite and celebrate the community people had come together to defend. South Central PA organizer Carla Christopher helped organize the event, and she spoke about the importance of PPF being involved in community events like this one. 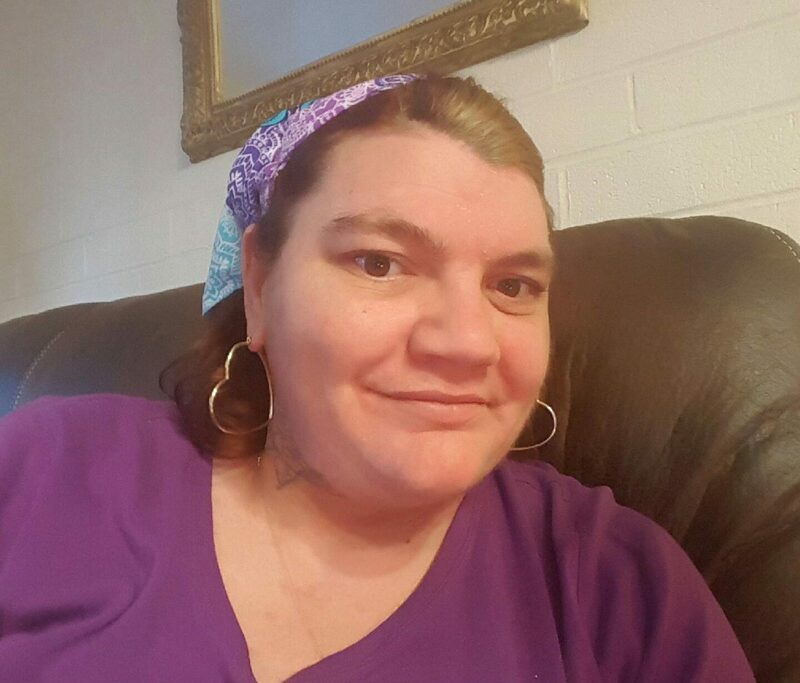 Johnstown member Isabella (Bella) Oliveras is a poet. She penned the following poem after the membership assembly in October, reflecting on the importance of women leaders in our movement, particularly the legacy of Mother Jones and Johnnie Tillmon, who Bella recognized as advocates and leaders. We read Tillmon’s 1972 essay “Welfare is a women’s issue” together at the assembly. Mother Jones is a key foremother in the legacy of movements and movement leaders that influence Put People First. Bella calls us to action, and she implores us to keep fighting until everyone has their basic needs met, including healthcare. Now, Bella is crowdfunding for a much-needed motorized wheelchair and healthcare. We can join together and help Bella get the care that she needs but that the current system won’t give her. To pledge your support to Bella, go to Help Bella Bounce Back! On Friday November 4th in the state of São Paolo, Brazil, 10 vehicles from the Civil Police broke into the National School Florestan Fernandes (ENFF), in the town of Guararema. Two Movimiento Sem Terra (MST/Landless Workers Movement) organizers were arrested. The MST is one of the largest social movements in the world and one of our leaders is currently at the National School attending a seven week course on agroecology and leadership development. Read more below directly from the MST on what’s happening in Brazil and attacks on the largest social movement in the world by the state acting in the interests of agribusiness. 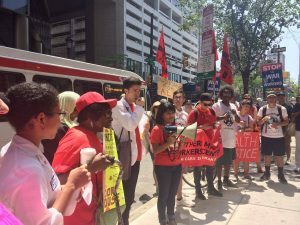 Contact the Consulate of Brazil in New York City to express your outrage at the criminalization of social movements and illegal search and arrests of MST members: (917) 777-7777. On this Friday, November 4th, MST was on the criminalization spotlight. A violent action by the police, codename “Castra”, spanned three States, Paraná, São Paulo and Mato Grosso do Sul. 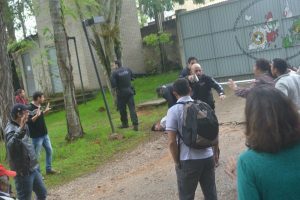 The main target of the operation was to arrest and criminalize leaders from two camps held by MST organizers in Central Paraná State. The camps are named “Dom Tomás Balduíno” and “Herdeiros da Luta pela Terra” (Land Struggle Heirs). On a note, MST denounces a “surge in the repression of the struggle for land, dominated by the interests of agribussines allied to the violence of a State of Exception”. In São Paulo, 10 vehicles from the Civil Police broke into the National School Florestan Fernandes (ENFF), in the town of Guararema. Two MST organizers were arrested. According to the reports, police officers arrived at around 9:25 am, closed the school gate and jumped over the reception window, taking shots aiming at sky. The shards of collected bullets prove that none of them were rubber, but lethal. In Mato Grosso do Sul, three police vehicles with Paraná plates broke into CEPEGE, “Geral Garcia” Research Center and Professional School, in Sidrolândia. The police operation was searching for MST organizers from Paraná that allegedly were there. The police remained there until approximately 9AM, when they left with no arrests. During the operation, police prohibited the use of mobile phones. Organizers that were in CEPEGE at the moment were performing cleaning and maintenance tasks. 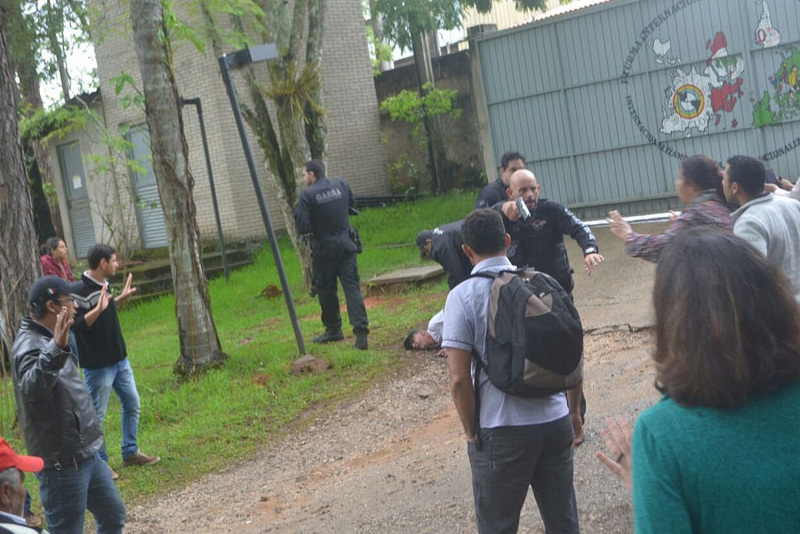 Once more the Landless Rural Workers’ Movement is a victim of criminalization constructed by the repressive apparatus of the State of Paraná. The violent operation, codename “Castra”, took place this Friday, November 4th 2016, in Paraná – municipalities of Quedas do Iguaçu, Francisco Beltrão and Laranjeiras do Sul; and also in the States of São Paulo and Mato Grosso do Sul. The aim of the operation is to capture and criminalize leaders from ‘Dom Tomás Balduíno’ and ‘Herdeiros da Luta pela Terra’ encampments, located in the central region of Paraná state. Until now 6 leaders were arrested and they are still looking for other workers, under several accusations, including criminal organization. Since May 2014, approximately 3,000 encamped families are occupying areas that were before occuppied by Araupel Company. Those areas were illegally occupied by the company and because of that the Federal Court of Public Land declared that they belong to the Union, so they must be devoted for Agrarian Reform. Araupel Company became a powerful economical and political empire by illegally occupying public land and constantly using violence against rural workers and peasants that occupy land, many times acting in collusion with the civilian and military police apparatus, they have even fund political campaigns of public authorities, like the one of the Chief of Staff of the Beto Richa’s government, Valdir Rossoni. We highlight that this action is part of a continuous process of persecution and violence that MST has been facing in several states and in Parana. On April 7th, 2016, in the land illegally occupied by Araupel Company the families organized in the Dom Tomas Balduíno encampment were victims of an ambush made by the Military Police and security personnel hired by the company. In the attack, were there more than 120 gunshots, Vilmar Bordim and Leomar Orback were executed, there were also countless people bullet wounded. In the same large state in 1997, gunmen hired by Araupel killed in another ambush two Landless Movement workers. Both cases remain unpunished. We denounce the escalation on violence and repression against the struggle for land, where agribusiness interests associated with the violence of the State of Exception predominate. We remember that we always act in an organized and pacific way so the Agrarian Reform advances. We demand that the land fulfills its social function and that it is destined for the settlement of the 10,000 families encamped in Paraná. We keep fighting for our rights and we join those who fight for education, health, housing, more rights and more democracy. Struggle and build Popular Agrarian Reform. This Thursday, members of Put People First! PA and other Philadelphia residents will gather outside of Independence Blue Cross’ (IBX) headquarters to protest the massive rate hikes slated to hit people buying insurance through the Affordable Care Act marketplace in 2017. They will speak out about the effects of rising insurance and health care costs on them and their families. While insurance company CEOs like IBX’s Daniel Hilferty continue to make millions of dollars, communities all across Pennsylvania are faced with an average increase of 32.5% for ACA individual plans and 7.1% for small group plans. IBX petitioned the Insurance Department to increase their rates by 19.87%, and instead were approved for 27.97%, 40% more than they asked for. Pennsylvanians are already being forced to choose between paying for healthcare and paying for other necessities. In a recent survey conducted by Put People First! PA, which included Pennsylvania residents from over 40 counties, more than 1 in 3 said that in the last 12 months healthcare costs forced them to skip paying for basics like electricity and groceries. This protest continues a campaign led by Put People First! PA to make healthcare a human right in Pennsylvania. Earlier this year, the campaign successfully pressured the Insurance Department to hold its first ever public hearings on ACA rate increases. On Thursday, that effort to put the lives and experiences of regular people at the center of decisions about health care will continue.